I love Animal Kingdom, it's a wonderful place where you can see lots of animals. It is also closest to our favourite hotel, the Animal Kingdom Lodge. Of course the thing about Animal Kingdom is there's lots of walking involved to see all of the park and to get between rides. That's not so bad though because there's so much to see. This has to be my favourite ride, you get into a truck and the driver takes you through the savannah to see amazing animals in their habitats. I love it. It's a bumpy ride, but the driver is entertaining and informative as he or she talks about each animal and what kinds of things they have learned from them. Climb aboard an open-air safari vehicle and hang on tight as you take off on a guided tour into the African outback—where over 34 different species of exotic African wildlife seemingly roam free. As your bumpy transport makes its way through rugged terrain, glimpse an array of exotic animals in a variety of unique habitats, your helpful guide providing you with valuable information about the land and its inhabitants. Tip: Be sure to have your camera to hand, you never know when you'll spot an animal - and one with a zoom will be especially useful because some animals (like the cheetah) may be far away! There aren't any sudden drops like on Splash Mountain but the Kali River Rapids are just as fun - if not more. You will almost certainly get wet - possibly soaked - and you will have a blast. On a few occasions we've got off the river rapids and had to wring out our clothes because we were so wet! It's fun, and to be honest getting soaked is a welcome relief from the hot florida sun. Don't be a scaredy cat and hide under a poncho like so many people we see, brave it out and see just how wet you'll get! Make your way to a wooden pagoda and then onto a large, circular 12-passenger raft. Strap yourself in and gently glide up a 90-foot knoll into a mist, the native scents of jasmine and ginger filling the air. At the top, skim across an erupting geyser and brace yourself as you begin your descent down the mountain. 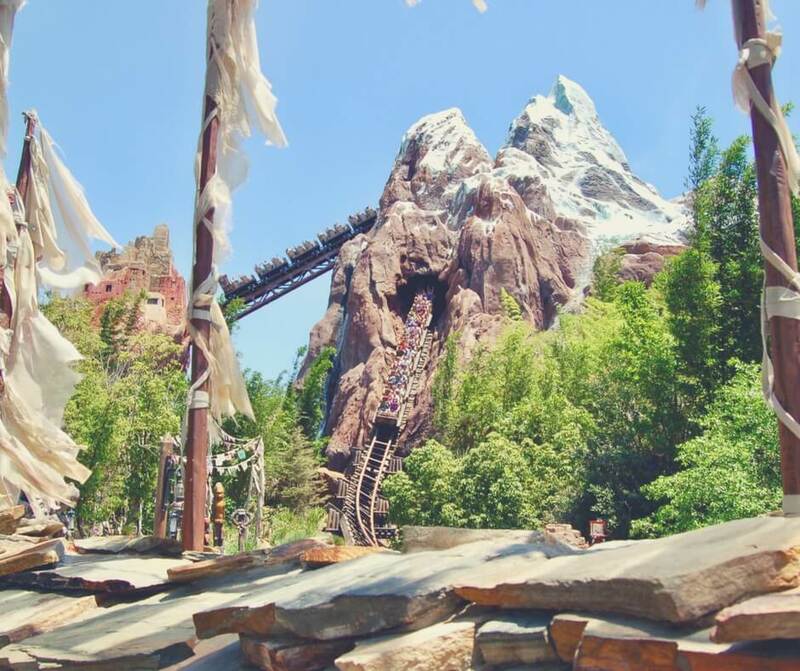 Top tip: Ride early in the morning or book your Fastpass+ to avoid the queues that build up during the day. I wouldn't recommend taking anything on the ride that might get damaged by water (like an iPhone!). Dinosaur is an indoor ride - so great for getting out of the Florida sun - and there's lots to see when queuing too. There are fossils to see and a huge dinosaur made from bones too. Dinosaur is a bumpy ride, so if you have any neck or back issues I wouldn't recommend riding, it gets quite severe sometimes. Other than that there are no huge drops, but there are dinosaurs so if you're little ones are easily scared you might want to sit them close by to "protect" them. I remember LP being a little scared when he rode Dinosaur a few years ago - he was about 6 years old. Make your way into the research control center and watch an informative video about your expedition into the primeval past. The briefing takes a turn when you’re recruited to rescue an Iguanodon from extinction and return to the present with the 3.5-ton dinosaur in tow. There’s just one problem: the date you’ll be visiting is when a giant meteor hit earth and caused the extinction of nearly all living things. Tip: Fastpass+ is a huge timesaver for Dinosaur, the queues can get quite long. The ultimate thrill-seeker the Hubby loves all roller-coasters and thrill rides - I don't think there's one he's not liked yet! But he also loves the smaller rides too - particularly when they're entertaining. 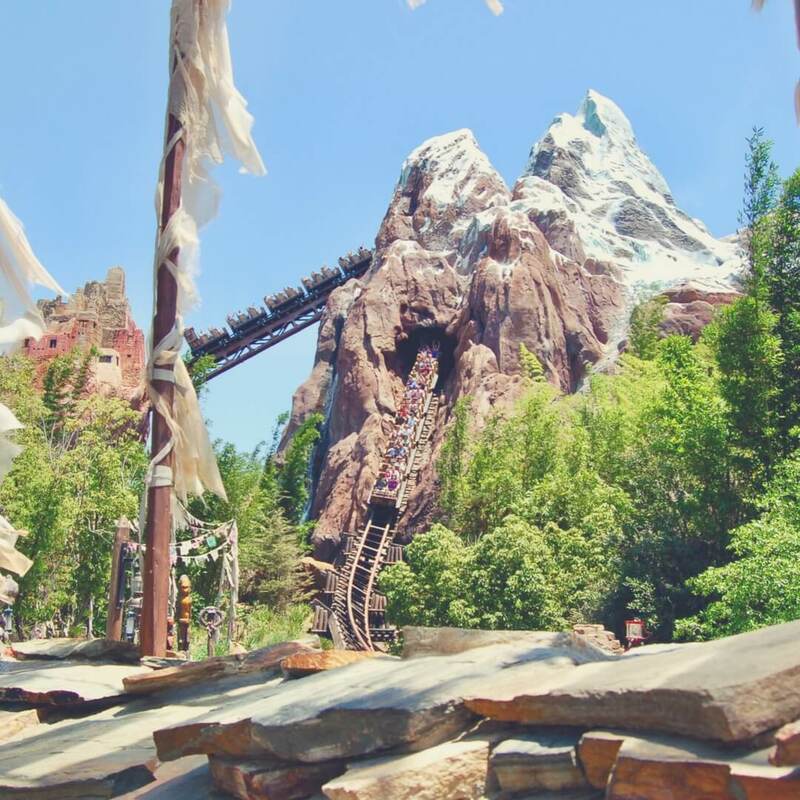 I have only ever been on Everest once (never again!) but it was certainly not one that I enjoyed. However if you like roller-coasters then you're sure to enjoy it. It's a big hit with all three of my boys and I think Hubby loves that he can take them on it. Board a weather-beaten train and ascend a series of rolling hills overlooking a serene green forest. Climb a steep incline and navigate through a ceremonial stone tunnel before reaching the summit. Once at the “top of the world,” hold on tight as you pick up speed and race inside the dreaded mountain. Tip: Fastpass+ is a must! The queues are huge - even in the morning - and only get worse during the day. For none-riders the shop (where people exit the ride) has some great things to see and you can pick up some brilliant souvenirs while the rest of your party rides. 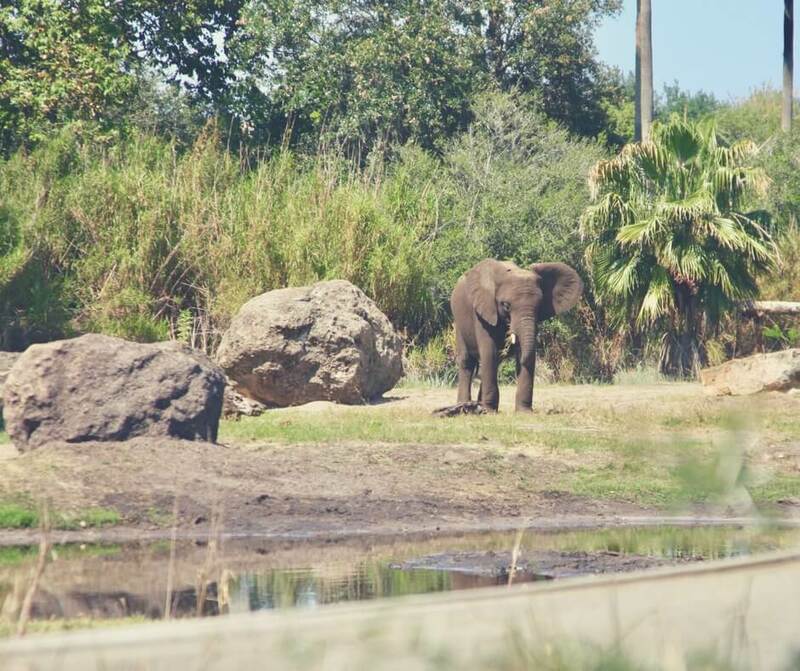 Like his father BP enjoys Expedition Everest, he also chose Kilimanjaro Safaris as one of his faves too. While I wouldn't call It's Tough to be a Bug a ride BP listed it in his favourites so I thought I'd include it. Sitting in a theatre while watching Flik tell you about the other bugs in his world is very entertaining. Add to that the fact that it's in a 4-D theatre and you can imagine how much fun it is! Flik, the loveable ant from the Disney•Pixar film A Bug’s Life, invites you and your family to become honorary creepy crawlies by donning a pair of special “bug eye” glasses and watching an exciting 3D film and live show on the survival techniques of bugs. 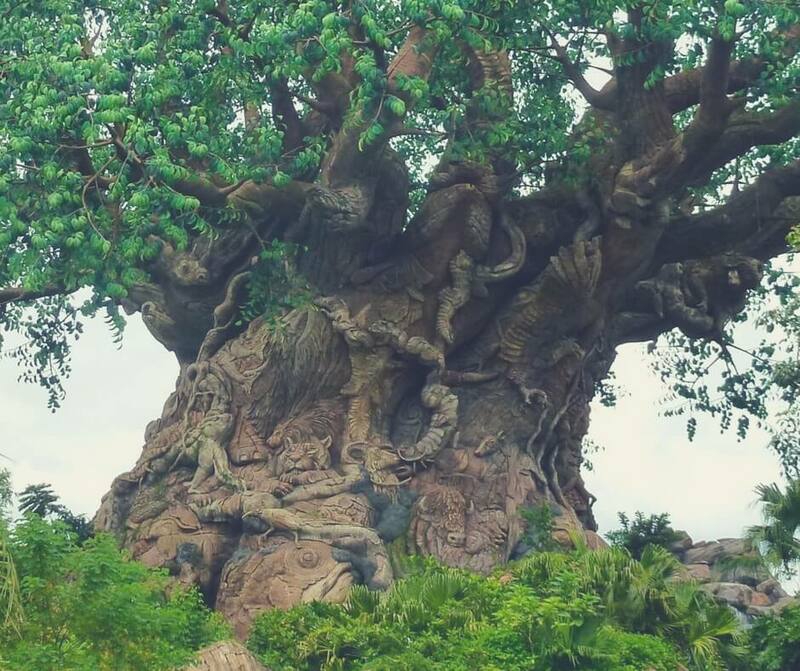 Top tip: If you queue in the regular line you get to see all the wonderful carvings in the Tree of Life as you make your way along the line. There's some amazing things to see. There can be quite a wait at times. LP couldn't choose three but instead settled on two - Expedition Everest and Dinosaur. I remember the first time LP rode Expedition Everest - he was 6 years old (the last time we visited) and he LOVED it. It was such a cute thing to see because I think he felt like he'd finally entered the 'big boy' club by riding the big rides. Animal Kingdom is a brilliant place with lots of walking trails and things to see. The rides are dotted around, in between everything else. We have yet to ride anything in Pandora but as soon as we do, and if we change any of our favourites I'll update this list. 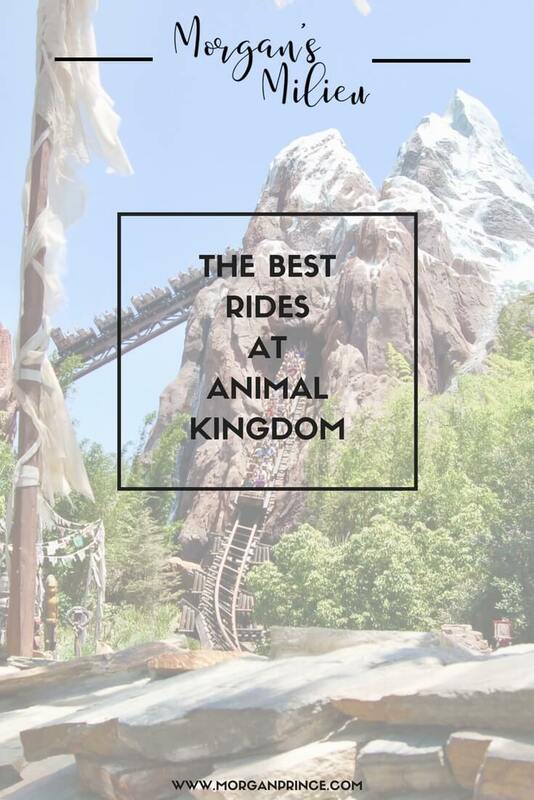 Which are your favourite rides in Animal Kingdom?